Halloween is by far my favorite holiday. Not only do I love the crisp cool air but it's the kick off to many fun months to come filled with friends, parties, decorations, and traditions. Since moving to San Francisco, it's been fun to come up with our own traditions around the holidays, and it's even more special now that we're engaged! Warren and I first went to Clancy's pumpkin patch just a few months after we had moved here. We didn't yet have our car out here so we took a 45+ min bus ride(s) to the pumpkin patch! If that's not commitment, I don't know what is. You should of seen us trying to trek our big pumpkins on the bus trying to get home! Definitely am thankful that we now have a car haha. 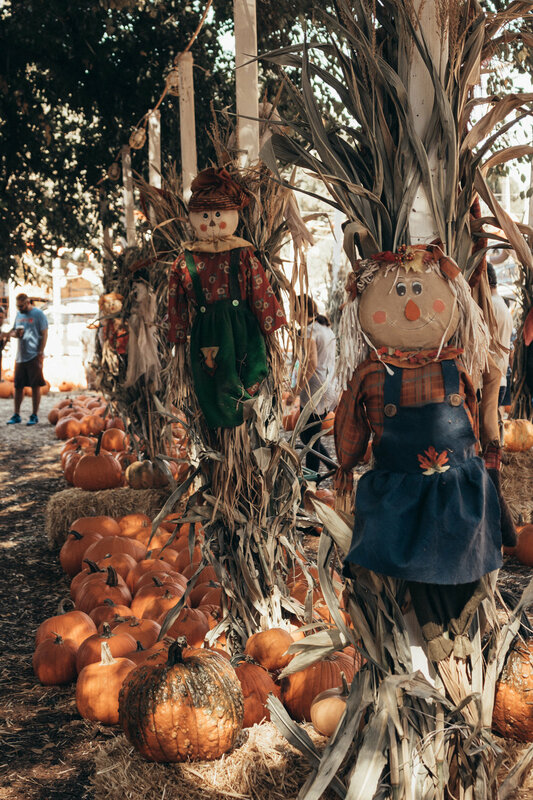 But going to the patch has become our favorite holiday tradition and it's something that we look forward to every year. We scour the patch to find the perfect shaped pumpkin and we personally love to find ones with cool stems! 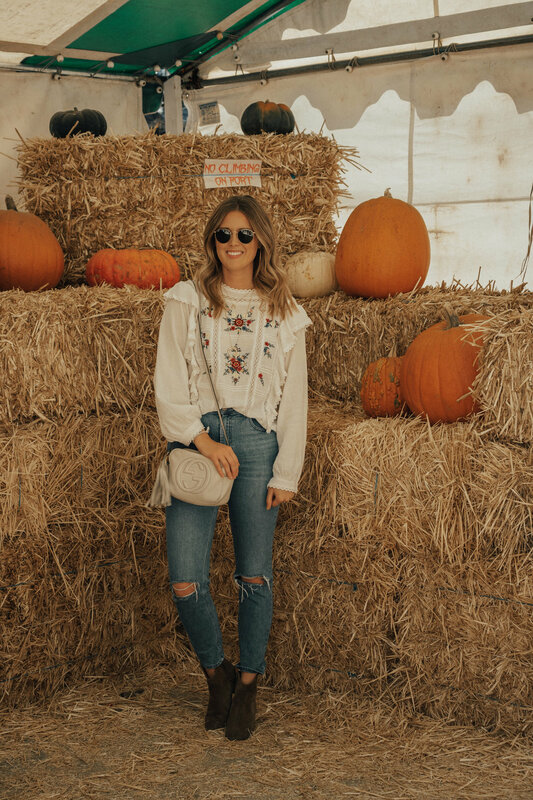 I particularly love Clancy's pumpkin patch because they have fun fall activities for the kiddos such as hay rides and it really just gives me all the fall feels! What's your favorite tradition that you look forward to most every year?